Halloween is in a month – whether you’re hosting a party or contributing some dishes to others’, making festive, Halloween-themed food and drinks is a good way to celebrate the day. Not sure what to make? Here are some Halloween recipes for you – so grab your aprons and get ready! Apples mixed with spices, then baked and served with ice cream and caramel sauce. What’s not to love? 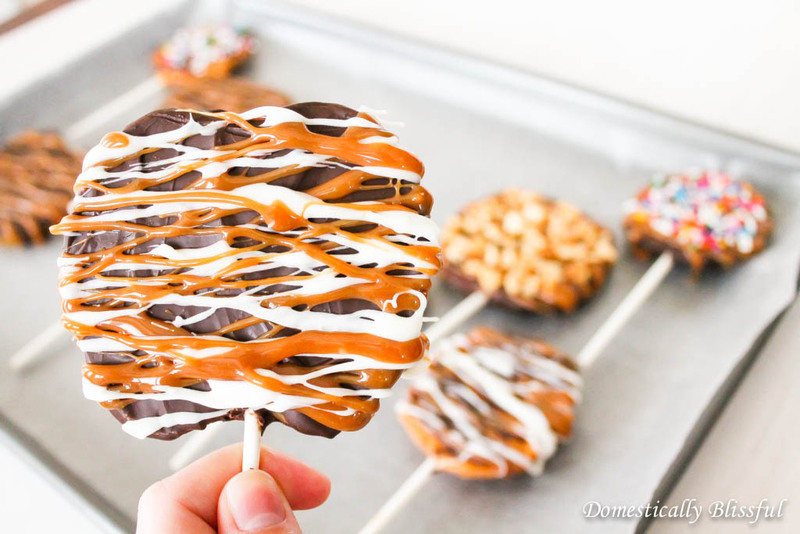 Apple slices coated with chocolate and caramel sauce. Tip: you can also mix the sauce with red food colouring for a spookier look. This spider would not be scary – it would be tasty instead. Good as a party snack or for yourself to dip in marinara sauce. Something to try for those with a more advanced cooking capability. Refreshing and healthy. Tip: to make your drinks more Halloween, mix gummy worms with water in an ice cube tray and freeze, and then add the cubes into your drinks. There you have it, six Halloween-themed recipes! What would you be making for the season? If you’re a fan of Masterchef contestant Reynold Poernomo, you will be able to taste his desserts in person here. The place serves ready-made desserts as well as fancy degustation menu. Source: Koi Dessert Bar, Kensington Street Chippendale Facebook page. With stores in many different locations across Sydney, the place serves a variety of cakes and pastries. If you’re after something savory, Bourke Street Bakery also offers a wide range of pies, quiche, and sandwiches. Source: Bourke Street Bakery’s Facebook page. Titled world’s best gelato in 2014, Cow and the Moon is not a place to be missed. The long queue in the Enmore store might dissuade you – but believe me, the Mandorla Affogato ice cream makes all the wait worthwhile. In this place, visitors can sit down and enjoy a coffee while watching the chef create the famous Hungarian ‘chimney cake’ from scratch. Don’t forget to try out the slab cakes and freshly baked pastries as well! If you’ve been watering your mouth over the chef’s desserts on TV, now is a good chance to try them out in person! 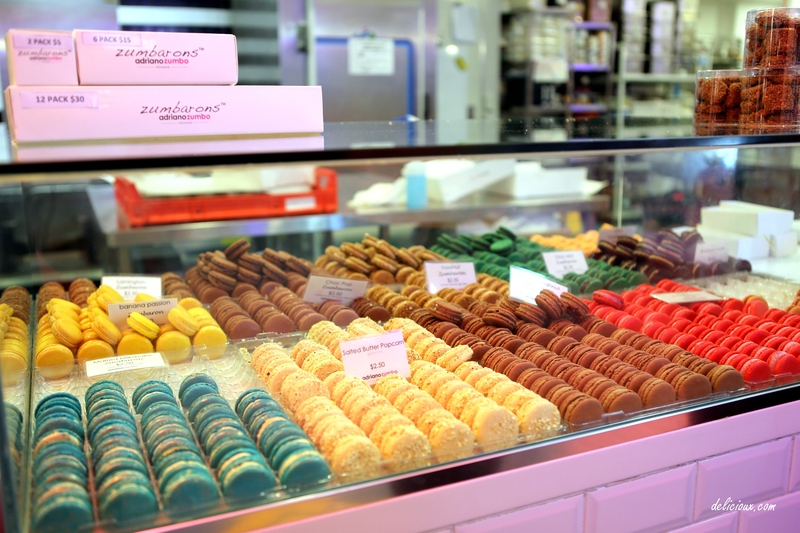 The place is a galore of sweet desserts, serving cakes, tarts, pastries, chocolate and the infamous Zumbarons macarons. Black Star Pastry is famous for its sweet yet healthy cakes. Check out their Strawberry Watermelon Cake and Pistachio Lemon Zen Cake, and ask for their vegan and gluten free range too. Famous for its Asian Fusion cuisine, Ms. G’s also offers some great desserts. If you’re after something more healthy, order the fruit-infused range such as the ‘Tropical Passion’ (passionfruit custard, tropical fruits, chocolate coconut oil, pandan meringue, coconut sorbet) and ‘Omar’s Mess’ (green tea meringue, whipped yuzu curd, brown butter, jackfruit sorbet). 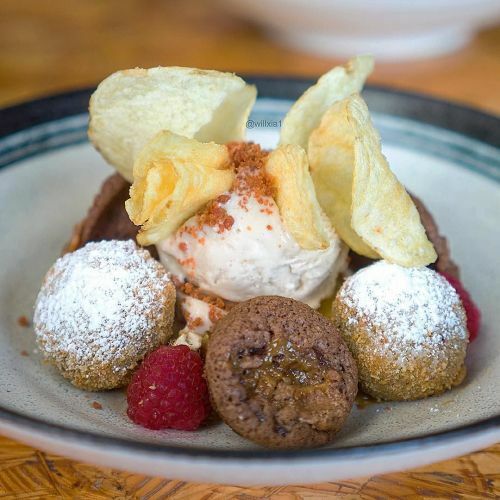 But if you really just want a comfort food, don’t miss out the ‘Stoner’s Delight part 3’, which is a mix of doughnut ice cream, peanut dulce de leche, peanut & pretzel brittle, crispy bacon, mars bar brownie, raspberry curd, potato chips and deep fried Nutella! The place offers almost all kinds of desserts you could imagine: crepes, pancakes, waffles, cakes, chocolate fondue set, ice cream, milkshakes… you’re in for a treat. These are my top eight Sydney dessert spots. Have you decided where to go for your post-dinner fix?